One of the items on my Christmas list that I was most excited to receive was Heritage, the cookbook by Charleston chef, Sean Brock, that was released late last fall. I've eaten at both Husk and McCrady's, two of Brock's restaurants, and really loved them both. As I've come to learn more about Brock himself, I've developed an even greater respect for him as a cook but also as a seriously knowledgeable, regional food historian working to preserve the culinary traditions and ingredients native to the part of the American Southeast that runs from southwest Virginia through South Carolina. Heritage is a beautifully rendered labor of love. The strains of personal narrative, farmer biography and food history are as engaging as the photographs which, though frequently highly stylized, seem to both entice the palate and make me feel confident that I, too, could cook the recipes. Included are some of the very dishes I enjoyed in Charleston. 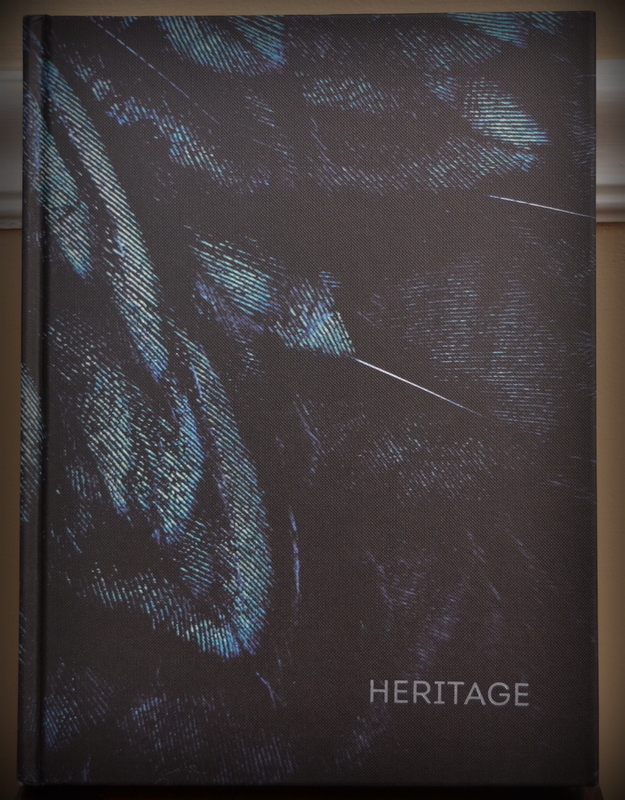 Heritage is also quite educational, and I have spent several nights curled up in bed with it, becoming more familiar with many of the ingredients I tasted in Brock's restaurants and in the greater Charleston area. Brock's book suggests a number of specific corn, wheat and seed ingredients, and continuously recommends sourcing those items from Anson Mills. So after a recent night spent in bed with Heritage, I placed an order from Anson Mills, a farm/mill committed to reviving and growing new-crop heirloom grains, legumes, and oil seeds and then cold-milling them to order. If you are committed to the food world at all, you've probably come across Anson Mills' grits which are most definitely the "grit of choice" for serious chefs and grits-lovers. Founded by Glenn Roberts in 1998, Anson Mills has also been instrumental in resuscitating -indeed saving- Carolina Gold rice and Benne seeds (among others), two critical Antebellum-era crops. Brock is hugely in favor of that effort. I love the synergy of the Anson Mills-Brock relationship so was happy to direct order for both support and authenticity's sake. I was particularly jazzed about the bags of Benne seeds I ordered. Benne, a West African ancestor to today's distant cousin, sesame, is closely related to okra and was grown as a subsistence crop in the 1800s. Because it's difficult to harvest, it ultimately lost its place as a heralded ingredient and crop. I first heard of benne when I tasted it, also for the first time, at The Ordinary (a fab seafood hall with magnificent ambiance) in Charleston. If you threatened me with everything you've got, I couldn't tell you what I ordered that contained benne seeds* -because really, oysters!- but with the bartender (because really, sitting at the bar! see A, B) we talked about benne and the unbelievable depth and nuttiness it imparts to Lowcountry food. Few grow it these days, but Anson Mills does, and as my mouth was watering over multiple recipes containing benne seeds and/or bennecake flour, it was clear that both would be an integral part of my order. Today, before I knew that my A.M. shipment would be arriving, I headed to Capitol Hill to deliver a meal to a couple with a new baby girl -auguri! I keep quitting catering and then not. Bygones. Now I quit for real. Anyway, because I was so.far.downtown., I decided to make a stop at Union Market on the way home because I wanted to replenish my stock of Frantoio's marvelously peppery olive oil that I'd bought there last April. Sadly, that place seems to have left the premises, but I did discover two terrific meat stalls with really specialized cured meats and cuts all made from happy, humanely raised and slaughtered animals. I admit to seriously loving short ribs so made a beeline for those at the first, Harvey's, but then and there, y'all!, the renowned BENTON'S bacon (from Tennessee; Brock calls for this very bacon in Heritage). 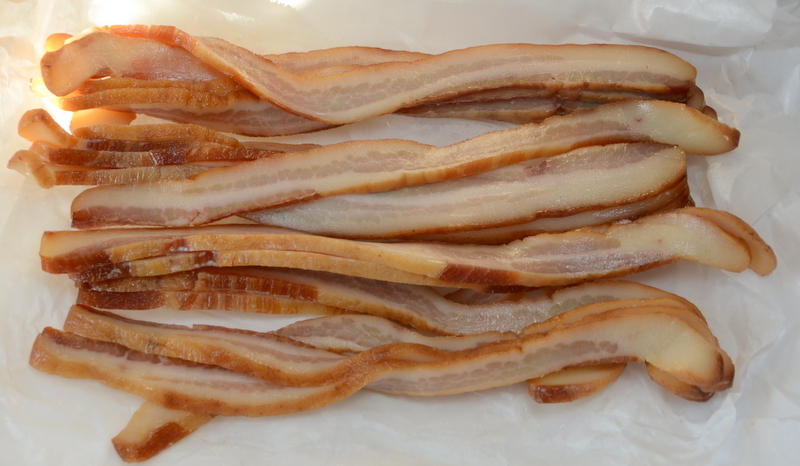 Plus some other skin-on bacon from Pennsylvania. I immediately bought two pounds of Roseda Farm's short ribs and a pound of each type of bacon. The smokiness is incredible; were it visible, it'd be a large, plumey cloud of eye-closing, mouth-watering goodness. Once home, I found and gleefully opened my box from Anson Mills, and really, everything came together. Soon enough I'll make the oyster-benne stew, and I'll let you know how it is, but tonight I used the short ribs and some of the Pennsylvania bacon to make an unctuous, five-hour stew that we will most definitely savor tomorrow night. Food days such as these are really something. Love! An excellent review of Heritagecan be found here.